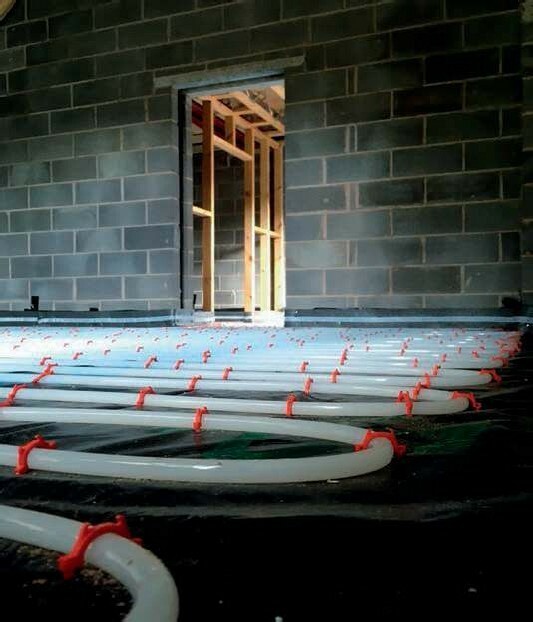 In order to provide an even heat output across the floor, UFH pipes are laid at regular intervals and connected back to the manifold – as in this setup designed and fitted by Robbens Systems. 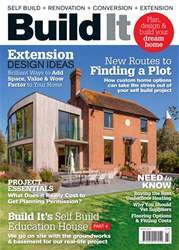 Once considered a luxury, underfloor heating (UFH) is now a must-have for many self build, renovation and extension projects. This versatile solution works by transforming your home’s floor into a radiant heat emitter, establishing an even spread of warmth across the surface. There are two main options: electric and water-based setups. For the purposes of this article, I’ll be focusing on the latter. With this setup, warm water (roughly 30°C - 35°C) is pumped through a network of pipes laid below the floor’s surface. The tubes are usually embedded into a screed, although other options are available. Most arrangements are organised into separate zones, which are connected to a central manifold that monitors the flow of warmth from the heat source. Individual room thermostats are used to control the temperature in each area.